The cold weather is here, which means that soon enough it will be winter. While your garden will, most probably, get little use in the colder winter months, what it’s important to remember is that it’s essential that you still give your garden the care that it requires. The fact is that just because the weather has got colder, that doesn’t mean that your garden stops needing care – you still need to take proper care of your oudoor space. If you are going to ensure that your garden doesn’t end up in a total mess due to the colder winter months, it’s important to ensure that you know how to look after your outdoor space. 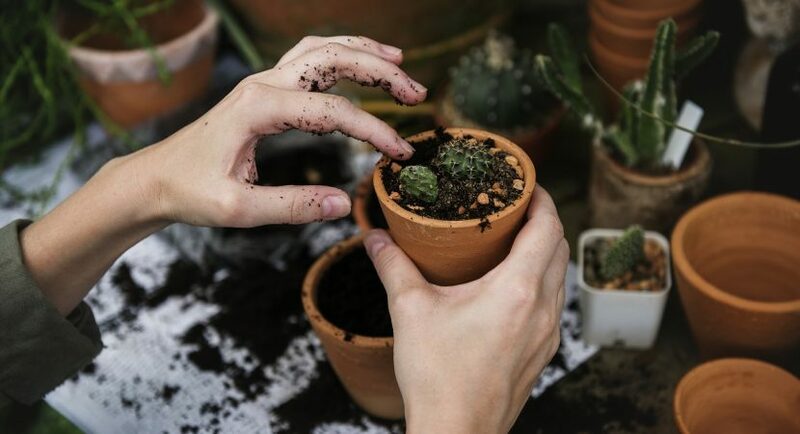 What you might not realise is the fact that there are plenty of ways that you can enusre that come spring and summer, your garden is in great shape, if you take the time to look after it during the colder months of the year. Wondering what you can do to take better care of your garden this winter? Then have a read of these useful tips and ideas below, and consider implementing them in how you take care of your outdoor space. While some plants are evergreen, others only last a few months and after they’re ‘done’ they die and begin to rot. The issue is that besides looking unsightly, these plants can lead to the spread of various funguses and diseases that can quickly spread around your garden. That’s why it’s so essential that when it comes to your garden that you take the time to clean up any dead or rotting plants. These plants will also attract unwanted insects to your garden, which is another reason to get rid of them. It’s a good idea that before the colder winter weather takes hold that you spend some time getting rid of any invasive weeds from your garden. Any invasive weeds that you see in your garden, dig up and get rid of. Don’t compost them in your garden, burn them instead to ensure that they don’t manage to re invade the space. Invasive weeds have a knack for reinvading your garden without you realising it, so it’s important to ensure that you iradicate every last one. In the winter months, grass can sometimes die off. Usually this is because of wet weather, and other element issues, which can mean that come spring you can have a real issue with the grass that is on offer in your garden. You may find that your garden is seriously lacking the grass cover it needs to look smart, and to be a nice space to spend time in. You might be thinking about sowing more grass seed, but when it comes to when to sow grass seed, you might be unsure about the process. If you’re unsure, it’s essential that you take the time to carefully consider learning more about this process, to ensure that you have a garden that is perfect for your needs. As the weather dips into winter, it’s the perfect time to begin pruning those perenials. If you want to give these plants the best chance of success for growth next year, pruning them back is crucial. If you’re not sure how a certain plant needs to be pruned, then it’s worth taking the time to do some research to learn more about the pruning process they favour. In the winter months when a larger amount of rain tends to fall, soil erosion becomes a real issue, and something that you need to carefully consider. If you want to ensure that your garden is protected from soil erosion, then you need to think about how you can do that. One simple way to do that is through the use of mulch. Mulch isn’t just a summer thing, it can be highly beneficial in the colder winter months too, helping to protect your garden from soil erosion. By adding a thick layer of mulch to the surface of the soil, you can help to regulate the soil temperature, which can help to prevent frost from damaging certain plants. There you have it, everything that you need to know about taking better care of your garden this winter. Believe it or not, it is possible to keep your garden healthy during the colder winter months, it’s just a case of knowing what steps to take.